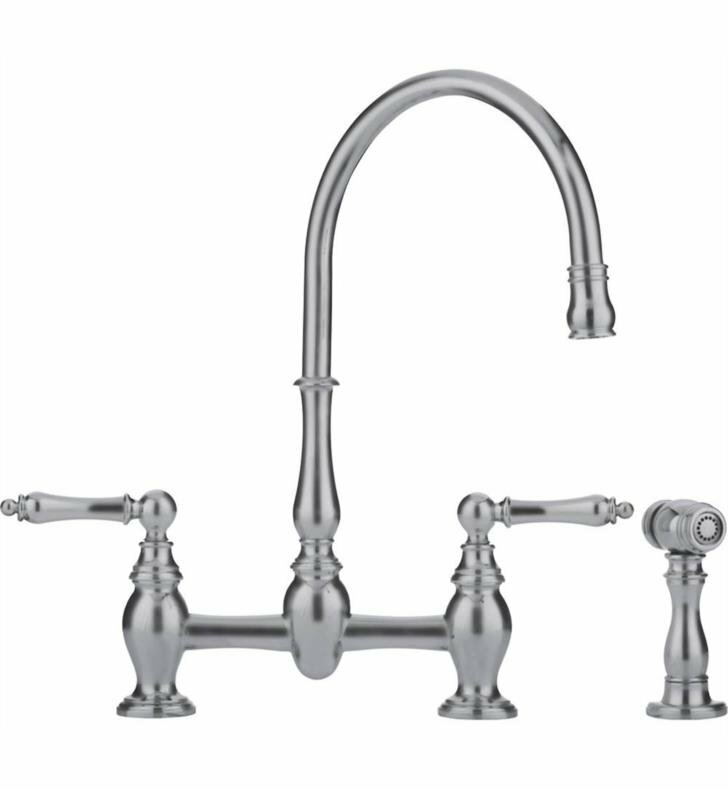 The Farm House Bridge collection offers artisan faucets with incomparable detail. True works of art, these faucets have handcrafted handles, elegance of line and side sprays with mixed water temperature. No other faucets compare to these stellar centerpieces. With silversmith details they are available in four different finishes and alternative handle styles. An internal anti-scald dial allows regulation of water temperature through a wide comfort zone. 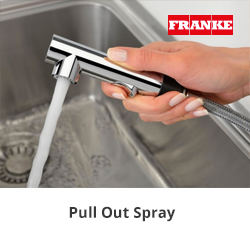 Six-setting dial adjusts water pressure to preferred flow rate. Top and side lever models with single-post construction for flexible placement. Side levers allow for right or left hand operation. H 15 1/2" x W 10" x D 8"